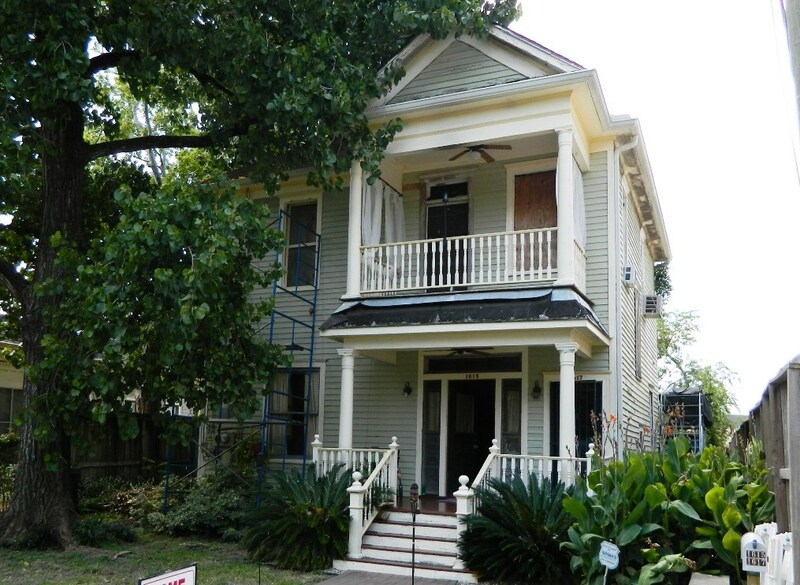 1615 Weber is an 1890’s Victorian home in Houston’s First Ward. It is an up/down duplex, about 2000 SF on a huge 7000 SF lot. Land prices are booming in First Ward, and big lots are rare. Price was $399,000 for this rare find. Jan 2014 Update: No longer on MLS. Owner will sell for $365,000. 1615 Weber St. First Ward Renovation Project. The owner of this house fell in love with it and bought it years ago. He leveled it, ran new electric service, rebuilt the two porches. Thus the main structural part of the renovation is complete. He has since refinished the downstairs floors, stripped the windows and molding of paint, stained and finished them. These huge windows and tall ceiling make a dramatic room. Pocket doors lead to the dining room. The kitchen walls have been stripped to expose the original bead board. A lot of work went into removing paint, so it could be stained and look like it did originally. The original plan was to make the downstairs livable, move into it, then work on the upstairs. This upstairs work was started. 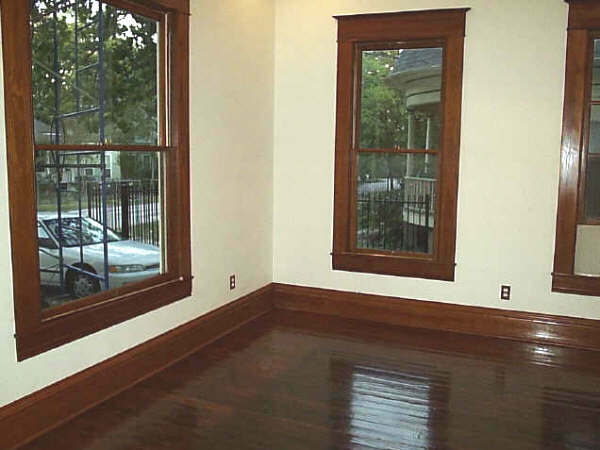 The kitchen was stripped; windows were removed to refinish them; floors partially redone. Plans have now changed. The owner no longer has time to work on this renovation project and wants to sell the house. He has rented the downstairs and is living in the upstairs makeshift quarters. This could be a stunning house on a big lot. Bring your imagination. Lots of work remains, but it could truly be a unique Victorian home. First Ward is one of the oldest neighborhoods in Houston. It is next to the Historic Sixth Ward. See my post on Historic Districts First Ward is becoming a hub for artists and has lots of galleries. The hike and bike trails run through it. Shops are nearby on Taylor St, and nearby Washington Ave is full of restaurants. See the Flickr slideshow below for a better feel. Call me to discuss it, or to visit. I have known the owner for years and have always loved this house.